IBC's new sugar free syrups! IBC’s new sugar free syrups: high on flavour, low on calories and Vegan approved too! The Italian Beverage Company’s new range of eight Simply sugar free flavoured syrups feed the current consumer trend for healthier options by offering superior taste and rich, authentic flavours but without the extra calories of added sugar. Plus the syrups are Vegan approved by the Vegetarian Society too which adds further to their appeal particularly from Millennials and the Generation Z demographic. The new syrups are available in some of IBC’s best-selling and most versatile flavours including: Amaretto, caramel, hazelnut, chocolate, vanilla, gingerbread, salted caramel and a handy flavourless syrup which just adds sweetness. Stir 15 ml through coffees, cocktails, mocktails, frappes, shakes, smoothies and a whole range of hot and cold beverage and dessert recipes for an added pop of luxuriously guilt free flavour. “We are becoming increasingly aware of the foodstuffs we consume and the general trend for more positive health is to eat less sugar. Customers routinely ask for skinny or lite beverages and our new syrups are the perfect partner across the speciality drinks menu where they will deliver a consistent flavour profile with zero added sugar,” said Ricky Flax, general manager, the Italian Beverage Company. According to the Italian Beverage Company, flavoured syrups are a coffee shop essential and one of the most versatile ‘must have’ ingredients on the shelf because they can be used all year round to change up the menu and keep customers engaged. 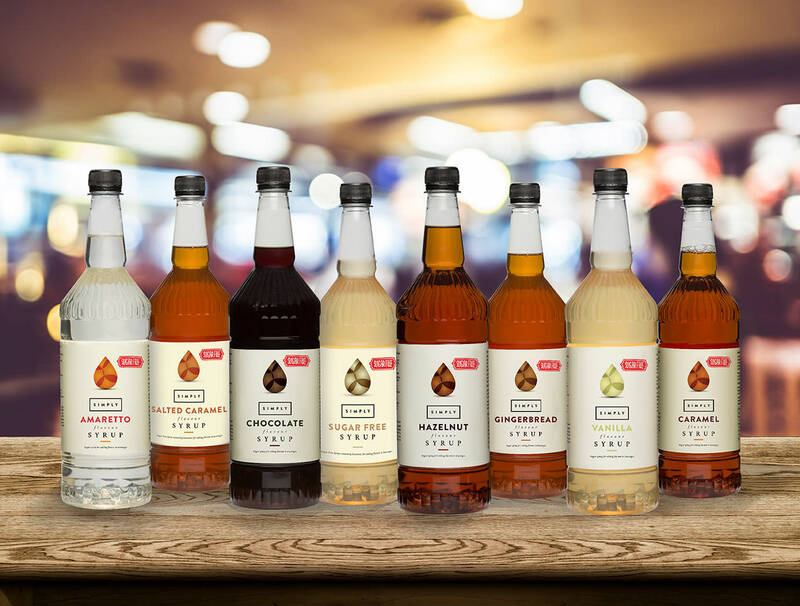 IBC’s range of sugar free Simply syrups complement the company’s extensive range of classic flavours, of which 8 additional options were introduced earlier in 2018 including candy floss, popcorn, black forest, rose, coffee, panetonne, Tiramisu, and the exclusive hot cross bun.